By entering, I acknowledge that my information may be shared with contest sponsor. Entries consist of name, email, phone number, friendss name, email and number. 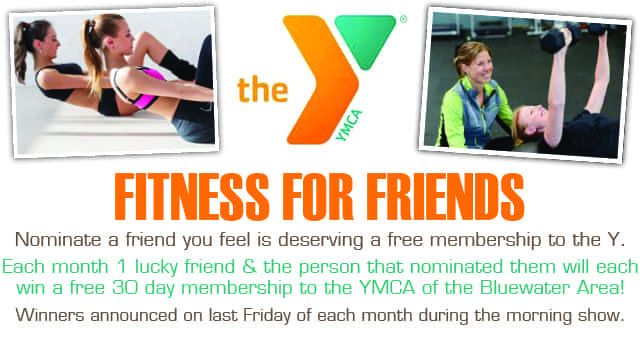 Monthly (on the last Friday of each month) prize winner receives a 30 Blue Water YMCA membership. Winners concede to being featured on 96.9 WBTI, and on wbti.com for an entire month. You can only win one prize during this contest. 96.9 WBTI management has final say in contesting decisions. Contest rules are available at the 96.9 WBTI studios, and on WBTI.COM. Rules are subject to change at anytime and without notice.